The Vibby is an advanced fall detector which can be worn on the wrist or around the neck. 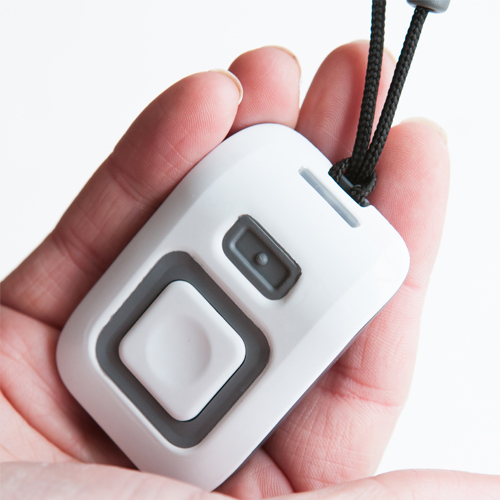 It will automatically raise an alert if it senses the user has fallen, and also enables the wearer to easily call for help manually. Using an innovative algorithm and a new pressure sensor, the Vibby is designed to automatically detect a serious fall and raise an alert. 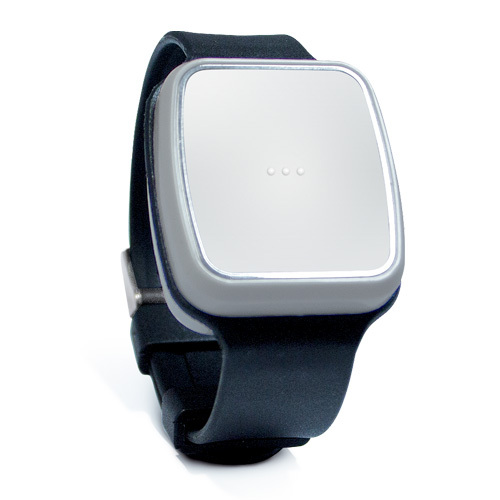 The wearer can also manually raise an alert by pressing the button on the face of the Vibby. Confirmation that an alert has been raised will be given by an LED light and vibration. Please note: The fall detection technology in the Vibby does not allow analysis and interpretation of all fall situations. Soft falls, slumping falls, descent controlled falls against a wall or a chair, etc…are not detected by the Vibby. In spite of its algorithm capabilities considering the technologies used and the target to minimise false alarms, all falls even dangerous-heavy falls cannot be detected, this is the reason why the presence of the manual trigger on the Vibby remains vital for the user. Lightweight and discreet with a range of wearing options and adjustable sensitivity, the iVi intelligent pendant provides constant care, automatically. What is the iVi intelligent pendant? 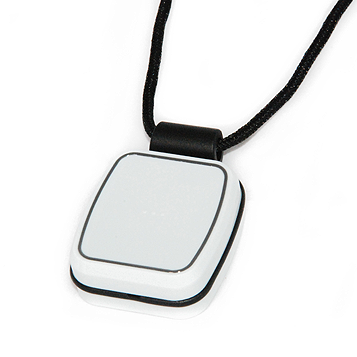 The iVi intelligent pendant is a small, lightweight device and like other pendants, the iVi allows the wearer to press a help button to generate an alarm call when they need help from anywhere in their home, 24 hours a day. The iVi also provides an added layer of protection by automatically generating a call for assistance if a fall is detected and the wearer is unable to push the help button. Please note: Due to the wide variety and type of falls some falls may not be detected. In the event of a fall the service user should always be advised to try and press the help button on the iVi. If the iVi detects the wearer has fallen, the integral LED will illuminate green, and the sounder volume level will gradually increase. During this stage, the wearer may press the cancel button to cancel the activation. If the alarm is not cancelled within 10 seconds, the LED will become red and the audible sounder will emit a tone indicating that an alarm has been generated. The Lifeline unit receives the alarm and dials for assistance, or an alert is raised to MASCOT.